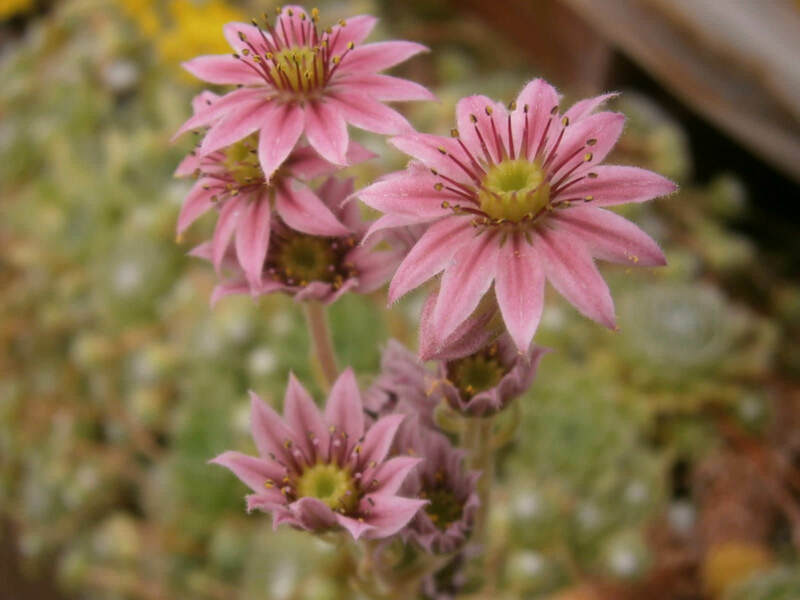 Sempervivum arachnoideum is a low-growing, evergreen, rosette-forming, perennial succulent, up to 3 inches (7.5 cm) tall and up to 12 inches (30 cm) wide, valued in cultivation for its ability to colonise hot, dry areas via offsets. 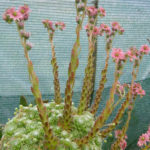 The rosettes are up to 1 inch (2.5 cm) in diameter forming dense mats green leaves, flushed with red and with white hairs connected at tips. 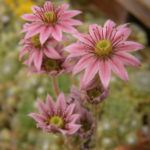 It flowers in July, with pink flowers that are raised on stems. 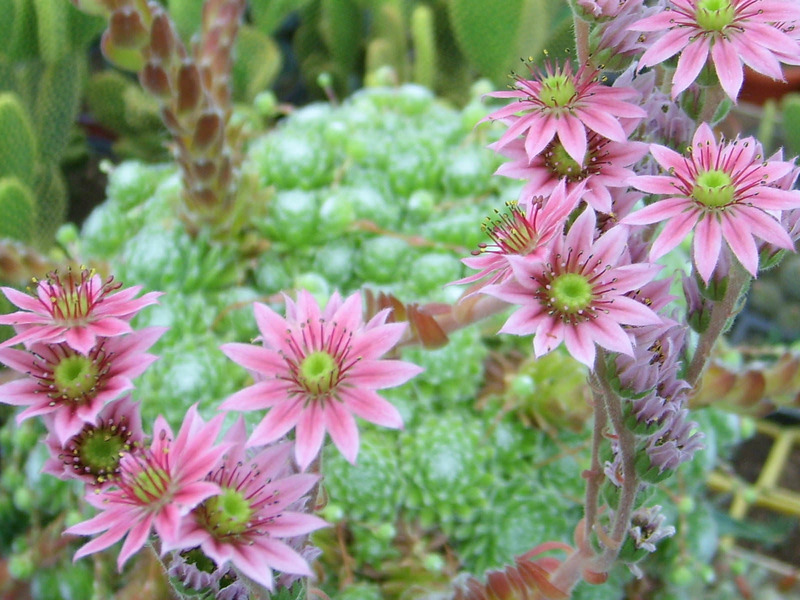 Relatively easy to grow in container or in rock garden, scree bed, wall crevice, trough or alpine house. After the plant blooms and sets seed it will die, but there will be many offsets to take its place. 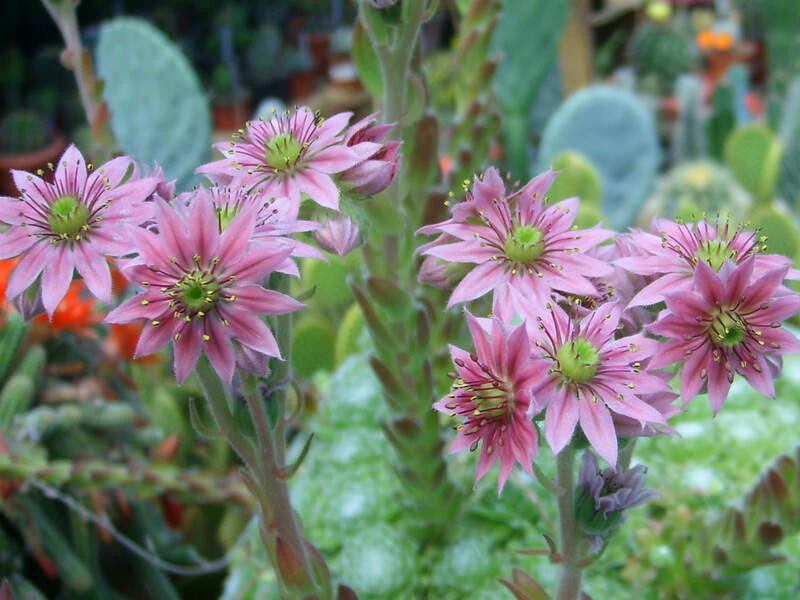 Plant in well drained succulent soil mix in full sun to light shade. Water regularly during the growing season and allow soil to dry out before watering again. Water very little during the winter months. 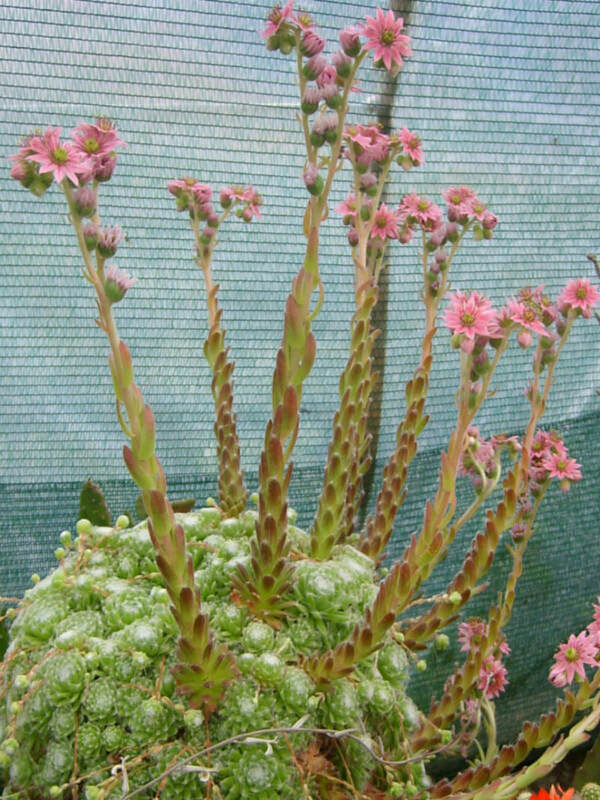 Sempervivum arachnoideum can get vine weevil and may be subject to a rust. 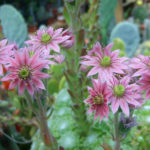 Propagate by seed sown in spring, or root offsets in spring… – See more at: How to Grow and Care for Sempervivum arachnoideum. Mountain of Europe from the Pyrenees to the Carpathians.